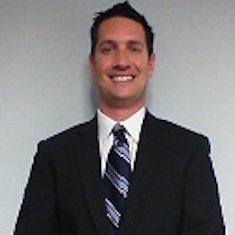 Christopher de Lorimier joined O’Connor Wealth Management in 2009 as a Registered Sales Assistant. After exploring commodity market pricing in the wholesale produce industry, he returned to OWM as an Investment Advisor Representative. Chris developed his passion for financial planning while still in college through personal investing as well as through helping his friends and family with their own personal finances. Chris believes that fear can greatly inhibit a person’s financial decision-making ability and that the best decisions are made by reducing these fears through education and regular commuication with clients. Chris graduated from the University of California – Los Angeles with a degree in Psychology and obtained his MBA in Financial Planning from California Lutheran University. Chris is also in the process of obtaining a CFP (Certified Financial Planner) designation from the Certified Financial Planner Board of Standards. Chris enjoys going to Kings hockey games, traveling and working out with his wife, Mary, and exercising their dogs at the dog park.